This day started with a boy named Nata begging his Mommy for a drink at 5 am. Poor, sick Nata… so dehydrated. This day, I sat with my son as IVs dripped the medicine he needed to kill the malaria parasite that had been winning the battle in his blood. This day, I rehearsed with 50+ Elementary kids who sang ON STAGE with MICROPHONES as they prepare for their musical coming up on Friday and Sunday. We are so excited. This day, I measured halos for heads of children I teach and I adore. 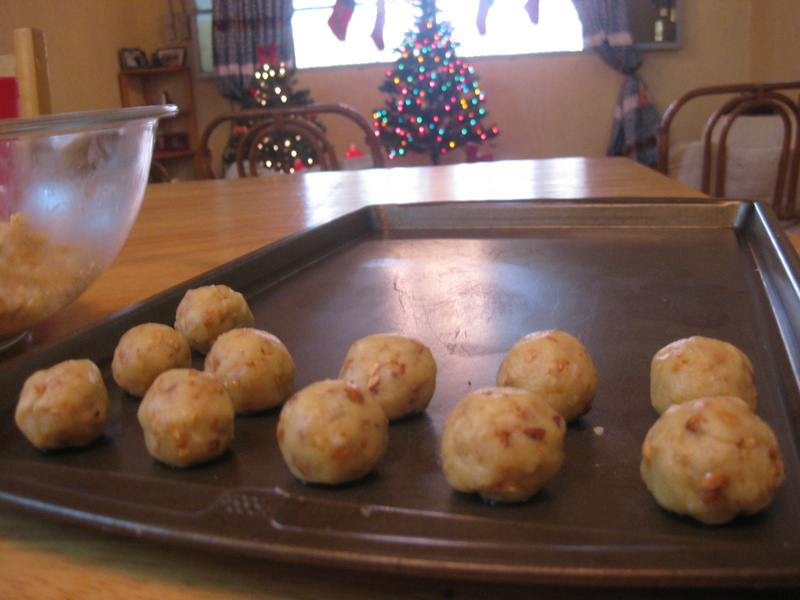 This day I rolled the 5th batch of Christmas cookies this season with three pairs of little hands to help. Two of those pairs had NEVER made Christmas cookies before, I’m pretty sure. What an honor. This day I hosted our mission Christmas party at my house. Because I am the only house in the mission with people who are staying in town this Christmas and therefore the only one with a tree. This day, I sang the alto harmony that I learned so long ago to carols that I’ve known forever and I remembered what it felt to sing them on stage when I was in school. This day, I got to play cards when the kids went to bed. This day, I peeked in on my three boys and thanked him with my whole heart that we were all going to bed under the same roof and asked him to give us a full night of sleep (because it’s been a while since no one has woken up sick in the night). This day, I thought of my mama and my sister who are arriving soon. For all of these, and many more reasons, I thank God for this day and this life. I pray that each day, no matter what it holds, I find Christ as my center. I am thankful that today I did just that. Because of Him I was able to find so much blessing in this day. Obviously, the day was a little crazy for snapping photos, but here is one I took last weekend preparing the cookies for our party tonight. Hope, the grace and strength He’s put in your life can make me cry. I wish I could explain to you just how this post affected me… but I think you may already know. Thank you for sharing. Love you guys.